Professional Movers.com is your one-stop Logistical Solutions Company based right here in Michigan. We proudly serve clients within the United States with special emphasis on the Michigan, Indiana, Illinois, Kentucky, New York, Ohio, Pennsylvania, and the West Virginia marketplace. 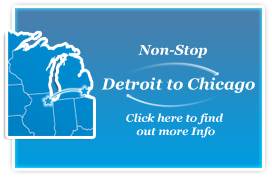 Whether it’s a full semi load of automotive parts that need to go from Detroit to Warren or 23,000 lbs. of warehouse shelving that needs to be shipped to Chicago on a flatbed truck, we lead the industry with a portfolio of service offerings. We are not an internet freight broker who is at the mercy of a bunch of unreliable independent contractors. We are an asset based company with a diversified fleet of over 35 trucks. This means we own all of our trucks and our drivers work directly for Professional Movers.com. When we commit to providing you with delivery services, you receive the exact services that we promise. If you need us at your loading dock at 4:00am, then our driver will be there at 4:00am with a smile on his face and ready to work. If you need two pallets of medical supplies delivered to a patient’s home and then hand carried up three fights of stairs, then our driver will arrive at your patient’s home prepared to deliver your product. Our service is simple and it’s straightforward, we will create a custom delivery service program that matches your needs, ranging from every day deliveries to peak seasonal deliveries. At Professional Movers.com we provide our clients the best drivers in the industry. No gimmicks, no trickery. Professional Movers.com only hires and provides qualified, friendly, intelligent, and experienced drivers. We treat our drivers with respect and compassion and expect that they will extend the same courtesy to you and your customers. All of our drivers are paid well, treated well and trained well. We do not hire temporary labor or unskilled day labor in order to save labor costs. All of our drivers are pre-screened and undergo a rigorous criminal background investigation before they are employed. Making sure that we provide you with competent and commendable drivers is something we take very seriously. We provide our drivers with modern trucks and the most advanced tools such as GPS, hand-held estimation software, scanners, and two-way radio devices. We empower our drivers to make on-the-job decisions and we foster an atmosphere of cooperation and a dedication to getting the job done every time. Therefore, when you hire Professional Movers.com to perform your deliveries you can rest assured that your company’s reputation is in good hands. If you are ready to begin talking to one of our Delivery Consultants please feel free to contact us at 248-926-9999. One of our Delivery Consultants would be happy to set-up an appointment to visit your office and answer questions and provide pricing. Let us put our 30 plus years experience to work for you to lower your shipping costs and improve the quality of your deliveries.